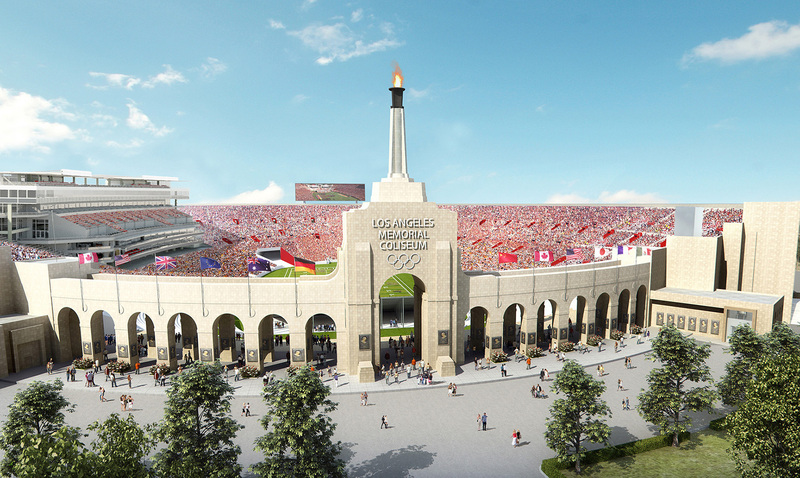 The historic renovation and substantial new addition to the iconic LA Memorial Coliseum is underway and anticipated to be complete in time for the 2019 football season. 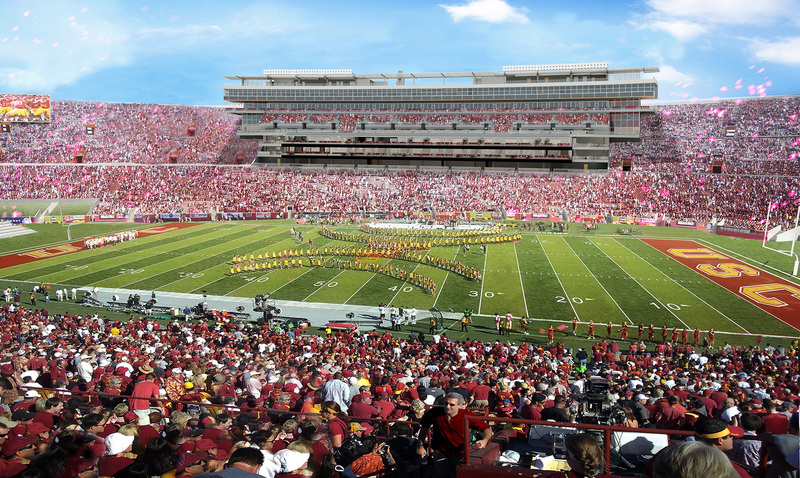 Hathaway Dinwiddie is joint venturing with AECOM Hunt on the coliseum, which has been the host for two Olympic Games and two Super Bowl games since its initial construction in 1923. 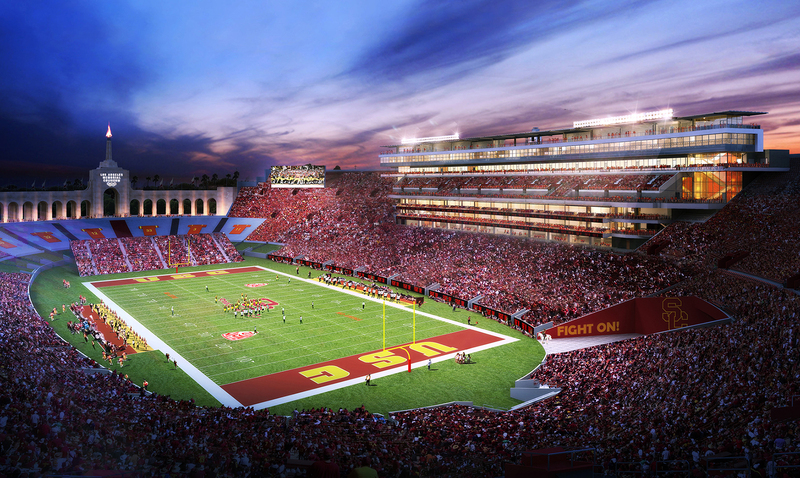 The scope of work includes the addition of a 240,000 SF, 7-story building within the existing bowl. Inside the new building will be 20 luxury suites, 24 loge boxes, 1,110 premium club seats, two club level party decks, restaurants, catering kitchens, new press facilities, and a roof top party deck. Hathaway Dinwiddie/AECOM Hunt will also replace 80,000 seats in the historic venue. Work will be ongoing during the 2018 football season.